I don't know if I should try and justify myself of this list, but a girl is only 21 once, right? And of course I chose some inexpensive picks such as the Kate Spade bow ring which is only $75 and only happens to come in a size 7 at the moment, and that just happens to be my size. I think it might be meant to be, no? And the Kate Spade hand in hand idiom bangle? Well that's under $50! As for the others... well they're not such cheap dates, but every girl deserves a gold watch, Louis Vuitton Speedy, Kate Spade wallet, David Yurman ring, and Ray Ban Sunglasses, right?... 2 weeks and counting! Have a fabulous day! Jeans that you don't wash?! Yes, they exist. Denim that you don't have to wash for months. A sorority sister was telling me about Nudie jeans the other day. 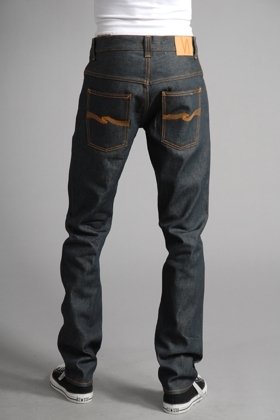 They are raw denim which means they weren't treated with any chemicals and they weren't faded at all. You wear them for months without having to wash them and if you feel like they are getting dirty just throw them into the freezer. Sounds totally bizarre but apparently, wearing them for a few months without washing them gives them a unique look for each owner. 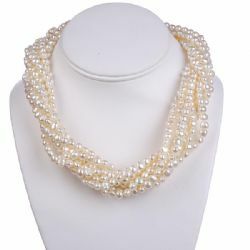 I'm not sure I'm a fan just yet, but they're becoming a popular choice for the male set...they only set you back $200. What do you think of not washing your denim for months? Have a fabulous day! This past weekend was so much fun! 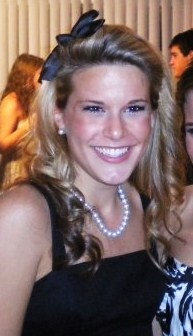 First it was my sorority's formal which was held at a local country club. Everyone had a fabulous time and looked so great! First we went to dinner at one of my favorite sushi restaurants downtown and then we headed to formal and danced the night away. Guys looking good in their tuxes! Some sorority sisters and I! I love any occasional to dress up, especially an occasion where it is appropriate to wear a gown! I wore this dress during my junior year of high school. I got it from Cache and have been in love with it ever since but haven't had another occasion where I could wear it. 4 years ago! Amazing how the time flies! When was the last time you wore a gown to an event? Have a fabulous day! NEED... Because I have to have something to wear with that gorgeous necklace, right? Have a fabulous weekend, I am off to formal! I take off all of the excess nail polish and make sure my nails are very clean. I exfoliate my hands with Crabtree and Evelyn's La Source Scrub Cleanser to make my hands nice and smooth. Then I file my nails to the desire length and shape. I am a pretty active person so I like to keep my nails short. Then I buff my nails. I use a buffer that I believe I find at the dollar store. They get old fast and need to be replaced so the dollar store ones work just fine for me. I don't mess with a base coat because for some reason I think my nails hold the color longer when I do not use a base coat. I then take a qtip and dip it into nail polish remover and remove any mistakes or smudges. Then I moisturize my hands with Crabtree and Evelyn's hand therapy cream. I use this every night before bed as well. It is the BEST hand moisturizer ever. They all have great scents and leave your hands silky smooth without being greasy at all! If I have an off day where I pick at my nails too much and don't have time to make it to get a manicure, I put on Kiss's everlasting french nails in super short. They are SO easy to put on, very inexpensive and look completely natural. These stay on for about 10 days and are easy to remove (painless too!) and once I take them off, my nails are nice and long again and then I can make it to the salon and get a nice manicure! I've tried several brands in the past and this brand is truly the best that I have come across. What do you use for nailcare when you can't make it to the salon or you don't want to spend the money on a salon manicure? Have a fabulous day! 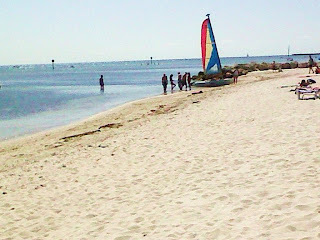 I had a fabulous time in Key West with my bff's about 2 weeks ago! The weather was absolutely gorgeous as was the scenery! 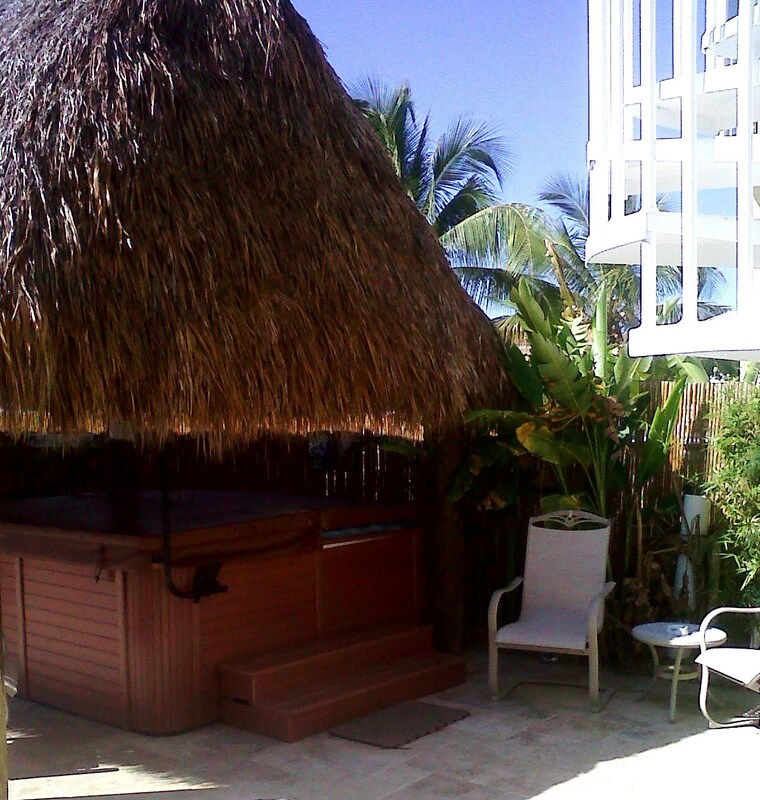 Key West is definitely a must-go! Sorority sister lBa and I on the beach! 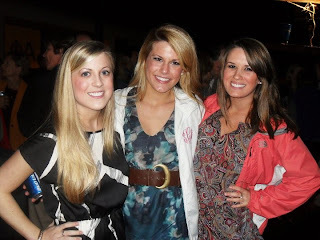 We stopped at Wofford College to visit some friends as well and had a fabulous time at an Oyster roast! lBa, me and kKe pose for a picture! The food was delicious as was the band! We danced all night! A picture of everyone dancing! Parents were invited as well and it seemed as though they loved the night as well! It was raining but that didn't stop anyone from having a ball! 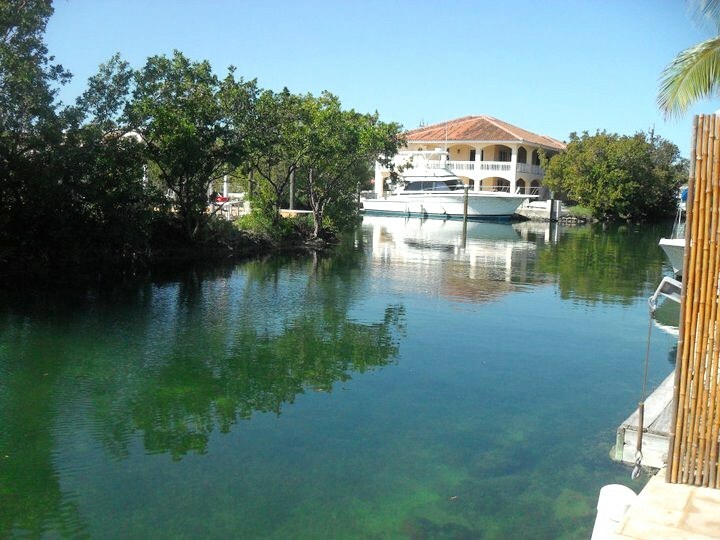 This is a view of the water, so pretty and clear! One day, the boys that we went with went deep sea fishing at caught a lot of tuna and mahi mahi. We found a restaurant that would cook what you caught and it was DELICIOUS! Fresh fish, good company, and great weather! 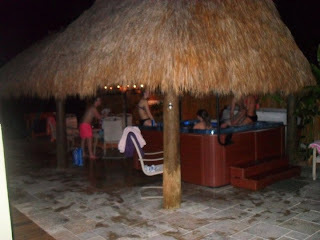 This was the "tiki hut" where the hot tub and a table was! Great atmosphere for a fun time! Overall the trip was great! Where did you go on spring break or where are you planning on going if you haven't gone yet? Have a fabulous day! Brooks Brothers Does it Again! Brooks Brothers does it again! I am talking about their Spring 2011 line. The above pictures are of their Girls line and I have to say, there isn't a thing about their spring line that I don't like! It is part nautical, part classic, part 1950s/1960s. I can envision myself in each piece for this spring/summer! It's a good thing that my birthday is coming up so I can snag some of their spring line. Has anyone else fallen in love with the Spring 2011 line? Have a fabulous day! I have really thick hair and when left to air dry, my hair dries straight with some frizz. When I blow dry it, my hair blow dries straight as well and only needs to be touched up with a straightener if I wanted it styled straight. I always, always, always, shampoo my hair and then put conditioner in right away when I shower so the conditioner stays in my hair for as long as possible. I rinse the conditioner out of my hair with cool water because a long time ago I read in a magazine that rinsing your hair with cold water at the end of your shower will help your hair to appear shinier. I let my hair air dry whenever possible (which has become a rarity now) because it is less damaging to hair. However, if I want my hair to look its' best, I most definitely will blow dry it because then it has maximum volume. I take a multi-vitamin daily (which every woman should) because I think it helps hair healthiness along with a lot of other benefits. I hate putting any kind of product in my hair so I try to do as little as possible. It's not because I think it makes my hair weighed down or greasy, it's just a personal preference. A lot of hairstylists say that unwashed hair holds styles the best, however, before I style my hair, it has always been just washed or washed a few hours before and I actually prefer it that way. I use a Remington D1000is hair dryer. I've never used any of the attachments that go with it (in fact I don't even know if I have them anymore). It was really inexpensive and it's GREAT. 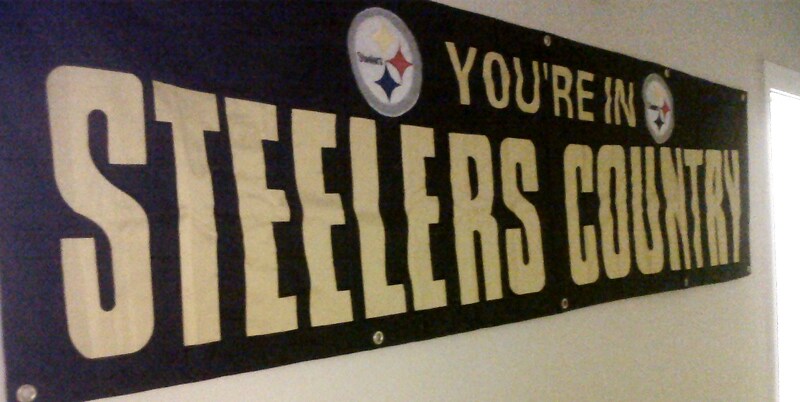 It has lasted me for four years and counting. My hair is super thick and such a pain to blow dry but this gets the job done as fast as possible. As far as curling irons go, I have a ton of different sizes of the Conair satin finish ceramic curling irons. I most often use the 1.5" to get big, voluminous curls. Like I said, I really hate using hair products, however, if I ever use a product it's either Sunsilk's TLC hair cream which I put on while my hair is wet and then blow dry. It helps to make my hair softer and less frizzy. This is the second product that I use if I must use a product. It's Aussie's Hi Hold and Hi Shine maximum hold hairspray. It is so light and still holds my hair in place. Last but not least, I rarely use Silk Elements' glossing polish but I do if my ends are really frizzy or I haven't gotten around to getting a hair cut and have pretty bad split ends. I put the size of a dime in my palm and rub my hands together and run my fingers through my ends. I can't currently find a good hair curling tutorial on YouTube that explains how I curl my hair but if I do in the future, I will be sure to post it. As for curling my hair, I start with the barrel at the top of my head and work my way down. I know a lot of people tend to start at the bottom and roll the barrel up towards the crown of their head and while that works, I find that starting at the top achieves the most body and volume. Whenever I use a smaller sized curling iron, I curl it early and then the curls fall out and look great, or I do relatively tight curls and then brush my hair out for a voluminous curly look. I also have Remington hot curlers and I've tried Conair in the past. I've tried these a billion times and I never get the results I want. I've also looked for good YouTube tutorials on how to use hot curlers but I can never perfect it. If you have any tips or tricks, I'd love to know! What are your hair care tips and tricks? I'm always looking for creative ways to style my hair! Have a fabulous day! Turquoise, Coral and Gold, Oh my! Recently, I have been loving the turquoise and coral color combination. It's fun and summer and perfect to dress up any outfit. I am not one to spend much money on costume jewelry because it doesn't last. I love having meaningful pieces of jewelry that will last a lifetime. So when I want to try something like costume jewelry I look to places like Target and Forever21. They have fun, inexpensive jewelry and if I loose it or when it ends up tarnishing, it won't matter because I spent less than $20. The above jewelry are some styles that I am loving for this summer. I found most of them from Target, Francesca's and Forever21. What are your go to spots to score fashion jewelry for a bargain? I still haven't gotten around to downloading my spring break pictures but I will get them up ASAP, however, I caught some fun pictures on my blackberry that I just had to share! 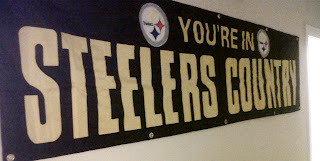 For the first night, we stopped at Wofford College to visit some friends and I met someone who had a giant Steelers banner, needless to say a picture was definitely necessary! 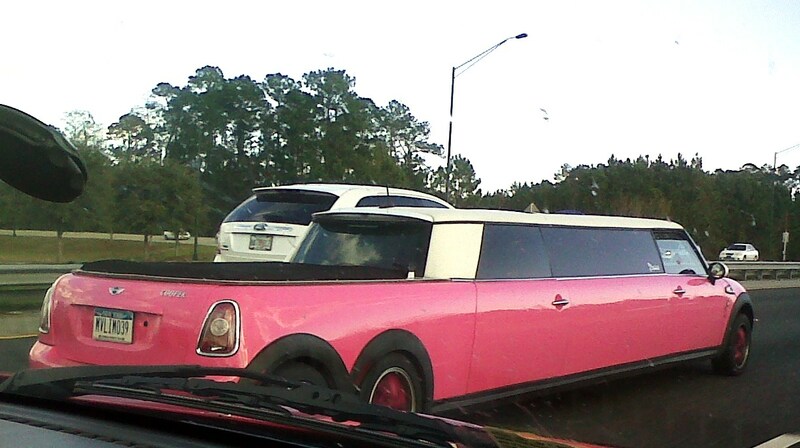 While in Florida, we saw a hot pink mini cooper limo with a hot tub in the back? Cool? Yes. Tacky? Definitely! 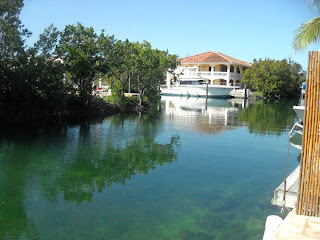 We stayed at a house in Key Largo for a night and it was so beautiful! Look at the kitchen! The "tiki" area with hot tub! 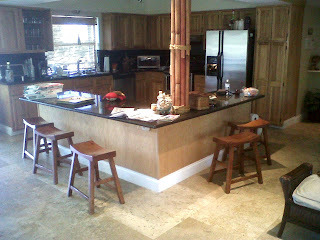 This house was right on the sound and the ocean water was nice and warm! There were tons of wind surfers and kit surfers out on the beach every day... it really made me want to learn because it looks like a blast! One night we were out on Duvall Street which is the main road in the town of Key West and I saw a terrible towel! 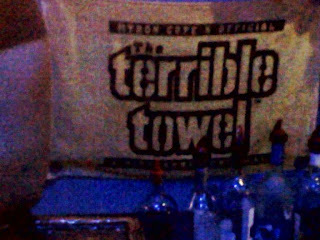 Even in Key West they loved the Steelers! 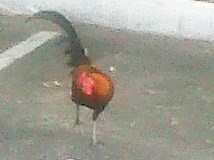 Key West is known for the wild roosters that just wander around. My sorority sisters and I wanted to see one and we finally did on our last day! 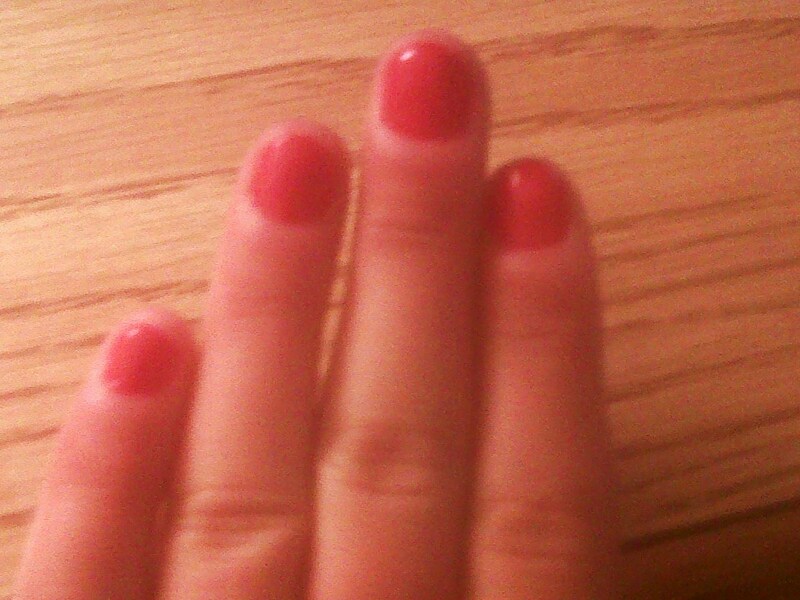 My polish color for the week was Essi's Rose Bowl. I LOVE it. It is hot pink, almost reddish looking but very bright. It looks great with a tan and is especially perfect for a pedicure! That's it for blackberry pictures but I promise real pictures will be in the coming days! I can't wait to share more! Have a fabulous day! Since I've been in college, with all of the sorority and fraternity functions I have been to I could probably write a book on them! After going through all of my college pictures, it definitely goes to show that I owe a BIG thank you to my parents for all of these pretty dresses that I was able to wear! 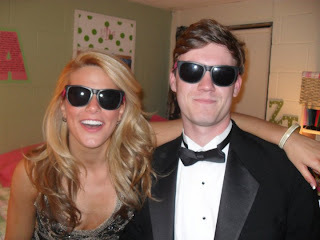 With sorority and fraternity formals just around the corner, and wedding season almost in full swing, I thought it'd be fun to share a great playlist for any date type function to assure maximum dancing because to me, that is what is the best part!! For our sorority formal we always get a great motown band; they are SO fun and we have a blast on the dance floor! However, when the band takes a break it is always good to have a playlist on hand so the dancing continues! 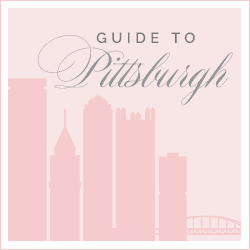 Another idea is that a lot of weddings and formals have DJs so it's a good idea to give the DJ a list of must play songs to make sure everyone is having a blast. Another tip is to mention to the DJ or band if there are any songs that shouldn't be played. For example, one time at my country club, I was attending our annual swim team banquet and the DJ played a song that was semi inappropriate.One of the fathers had to go up to the DJ and explain to him that the song needed to change immediately. 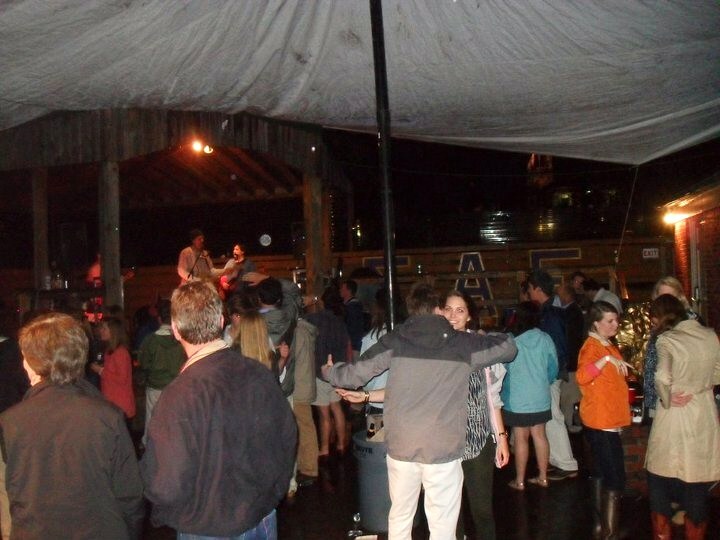 To avoid this, let the DJ or band know if there is to be absolutely no inappropriateness or profanity. Here are my go to songs! What are your go to songs to dance to? I'm always looking for great songs to add to my playlist!I can't wait to upload my pictures from Key West and share them with you! I had such a fun time and cannot believe it's still cold in Virginia, it was such a funny feeling putting on pants and boots today instead of the sandals I've been wearing for the past week! Have a fabulous day!